In this guide i will explain how you can make money in strongholds; Actively, and passively! First off, i would advice not to level up more unless you really want to have alot of villages, and wage war... control alot of land. So ask yourself what your goal is in the game before you start\advance! You don't need to have the highest rank to be succesful in this game, or to help fellow clan members, or even to fight AI. 1: Very high taxes! The higher your player rank is, the more parish tax you'll be paying! you'll need alot more villagers to cover this cost, or raise your own tax level to counter it. This results in either less income per village, or less honor per village. 2: Cheaper to attack. Attacking other players costs honor. if a high rank player attacks a small one, he'll have to pay a very high honor penalty! A small player attacking higher rank players have a very low honor penalty. 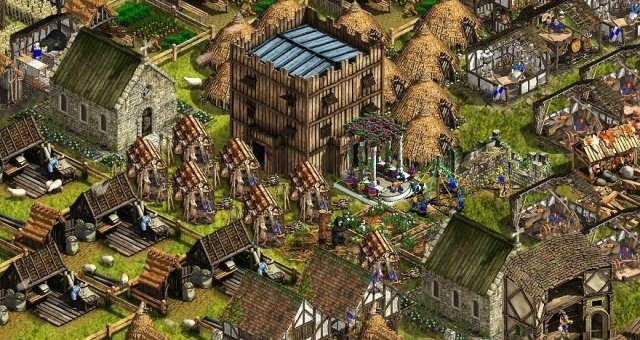 This means poorly maintained villages can be easely and cheaply taken by other players wanting to expand. For smart players, that remain at a lower rank, even tho they got plenty of honor to advance, these opposite effects can be used to be very succesfull in Strongholds! 1: Super cheap tax per village! if you don't advance in rank, but build up your village to very big population and popularity, you can get monster tax income, and only pay a fraction to the parish! you'll get rich just by collecting tax without doing a thing! 2: Expencive to attack. If you stick to your low rank, other players will have to spent huge ammounts of honor when they attack you. This will make you a lot less attractive target for princes etc. Passive in come = making money non-stop without actually doing something. you can passively earn money trough taxes in your village. This is probaply not new. But, how do I optimize this? What factors should i concider? Tax level: tax level might be obvious. Raise your tax level, and get more cash per villager in each village. Higher tax rank results in lower honor income. Balance wichever you need most. As said before, I prefer to stay low rank, so you dont need any honor! max out tax level up to the point were you are still in green popularity so you don't lose villagers but get the most tax. Food. Try to allways have enough food of evry type. more diffrent types = more popularity bonus! you should make sure you produce enough of evrything to maintain 4x level of all food types. Ale. You should produce enough ale to keep it at 4x level for max popularity bonus. Buildings. You can raise popularity by placing entertainment buildings. I prioritize these, place them closest to your townhall for max popularity bonus! Beds. You should allways have more beds than villagers to get max popularity bonus.you can place multiple houses, and upgrade villagers per house by upgrading them, so they don't have to be the top priority in placing them near your townhall. Parish. You can get even more popularity bonus by removing wolf lairs, bandit camps, and castles from the map. a good parish steward should use the money generated from its tax payers to remove these, but they usually don't. so have an army at least to take care of bandit camps and wolf lairs! th easyest is to just leave a snake or rat castle, so you have the lowest penalty. removing these can mean you get a pig or wolf instead, wich are more costly to remove and give way higher penalty to popularity. Monks. If you have them, and have no other purpose for them, you can use monks to increase popularity by sending them ot bless the parish. bonusses apply to all players in parish, so you can make friends with this :) You should also use the monks to remove deceases, evry day if needed! if you leave this it will stack up, making the popularity penalty higher and more costly to remove! daily maintenance is the cheapest and most effective way. 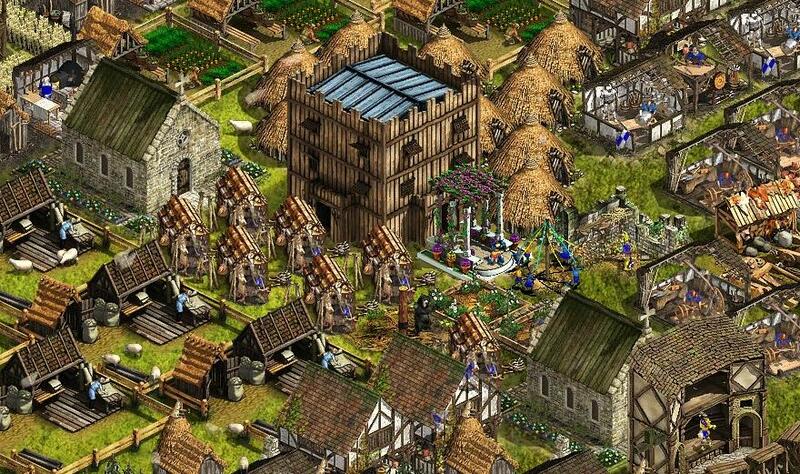 Population: if you are aiming to get max profit from tax, you should allways aim to get the highest possible number of villagers, maxed by above named factors. Tax is per villager! Active income = all the money you make by actually doing somehing. when you stop, your income stops. You can make money by selling your extra production in your village to a capital's exchange. If you upgrade commerce you'll be able to buy and sell to your parish, to evry parish in a county, country, and finally worldwide. This is nessicary to make money for buying and then reselling! You can make money by buying items from one capital's exchange, and reselling them at another capital's market for more money. you'll have to check the prices at markets around you, if you have a premium account you can see a list of prices from multiple exchanges and sort them from high to low. For example; you can buy bread at your parish's exchange for only 20 coins per stack. And you can sell bread for 110 coins per stack at a neighbor parish. you can have your merchants pick it up from 1 exchange and then resell it to the neighbors, making a profit of 90 coins per stack! To maximize this strategy, you should max out the number of merchants you can have either trough building more markets in your village, or upgrading them at the research tab for more merchants per market. Secondly, you should upgrade their speed, to make sure they run as fast as possible. this way you'll be able to repeat the process more often in the same time! Finally, you can further enhance this strategy you could use cards to boost merchant speed EVEN MORE and even dubble their carry capacity to dubble your income! You can make money by trading recources with other players and selling those to a market. If you have good bonds with other players, and mutual interest in trading you can send eachother goods on daily basis that the other player does not make! (or not enough). Since strongholds is a wargame as well as an economy/diplomacy, you can also just take coin and recources from weaker players. You can raid parishes for gold! if you know a parish thats been abandoned, or poorly managed, you might be able to steal any gold in the capital city. especially if there's still tax paying villages surrounding them! Note that this can anger other players, so either ask premission to the steward, govenor, or be sure its really abandoned / idle. Otherwise, be prepared for someone that comes to take their money back! You can also pillage goods from any village not under intrediction. you can choose what goods to target, and how much. it is adviced to only use this on enemy players, on small players that dont have strong allies, or on players that you know are very inactive. Please keep in mind that, depending on the target's castle, you might lose alot of troops while plundering. be sure the pay is better than the costs, scout first! I advice to steal either weapons, or banqueting goods, as these are worth the most coin on exchanges!